St. Armand's Circle, the famous vacation destination in Florida, is home to this beautifully decorated 6 bedroom 4.5 bath vacation home (which includes a 1 bedroom/1 bath attached apartment). 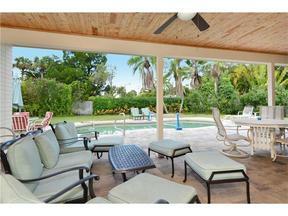 A wonderful 2 story pool home with granite kitchen, formal dining area, wood flooring which sleeps (14). The floorplan boats an eat-in kitchen with breakfast table and breakfast bar. The house is equipped with wi-fi and each bedroom has a T. V. The sliding glass doors lead to the gorgous backyard featuring an outdoor pool where the sun is waiting to warm your body and spirit!